Please read this whole page and be able to answer the understanding questions before starting on this assignment. Ask a tutor, TA or instructor if you have any questions before you begin. You must write your code in the files in your PSA3 folder. You will work with a partner on this PSA. Before you begin you MUST have a partner. Please review the guidelines for pair programming. There is an individual interview required for this and every PSA worth 20% of each assignment grade. Note: This PSA has a total of 16 points. However, all PSA assignments are weighted equally. The interview is always 20% of the total PSA grade (i.e. if you managed to obtain all 16 points but failed to complete an interview your total PSA grade would be 80%). 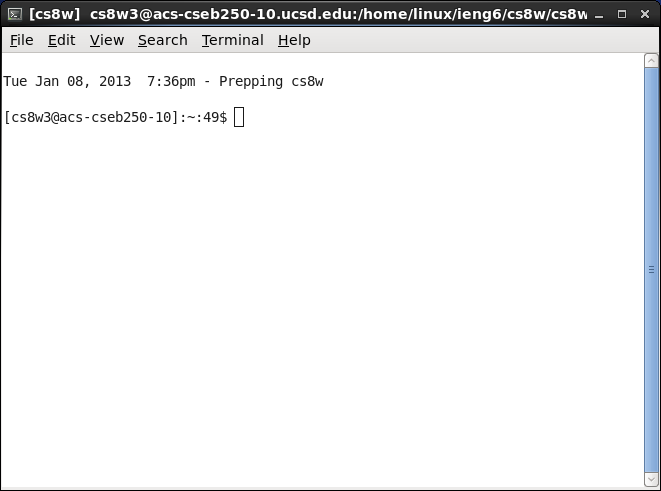 1) Right-click in an open space on the Desktop and select 'Open in Terminal' from the drop down menu. 3) Select the terminal window with the mouse and right-click to paste. 4) Verify that the 'PSA3A.java', 'PSA3B.java', 'Picture.java' files are shown as the result of the last command. naming of assignments in the correct locations to get credit for your work. 5) Proceed to start your programming assignment. You must write your code in the files in your PSA3 folder. Write a program that subtracts the red, blue, and green components of all pixels of a Picture by specified values. To do this, you will write one method in Picture.java and a main method in PSA3A.java to test your subtractColor method by showing and exploring the original and changed pictures. Add a method to Picture.java called subtractColor. Your method takes three int parameters which specify how much the color components of all pixels of the picture should be reduced (red, green and blue, in that order). For example, if you pass (100, 20, 45) as parameters to your method and the color values of one of the pixels of the picture is (150, 200, 50), then the red, green and blue color values should be reduced to (50, 180, 5), respectively, after your method is called. Note that a negative color value is automatically counted as 0. The order in which the color values are passed to the method should be red, green, and blue, in that order. . The method should reduce the color values of ALL the pixels in the picture. Use the FileChooser.pickAFile() command to pick a picture (you can pick a picture in the mediasources directory -- or better yet -- use one of your own!). Next explore the original picture you picked. Note that you can explore a picture by calling the predefined explore() method on that picture. Then call your method to change the COPY of the picture you made. Then explore the copy of the picture after you called your method on it to change it. Mouse around to explore the original and changed picture to make sure your method works correctly (that is a specific pixel in the original picture has been reduced by the right amounts in its red, green, and blue components for the copied picture). Add a method (negative) to Picture.java that takes in two int parameters (1 pt), which are the first and last index of the region (part) of the pixel array to be modified. The method should access the pixel array of the calling picture object (that is use the this.getPixels() line to store the picture's pixels in an array). This filter cannot be grayscale, negative, a single color filter and and any filter mentioned in the book. This file will load a Picture of your choice (either a bookClasses image or a personal image) using FileChooser.pickAFile(). Call the negative method on the first 1/3 of pixels in the image (1 pt). Next call the grayscale method on the middle 1/3 of pixels in the image (1 pt). Then apply the myFilter method to the bottom 1/3 of the pixels in the image(1 pt). What do the integer start and end parameters passed to the negative, grayscale, and myFilter methods represent? Choose one answer.